Tis that time of year and with it comes a very special image! This photograph, Kalalau Love, was actually taken way back in 2009 and not released until now! On this particular adventure I was with some friends on my first trip down this ridge. While the hike isn’t very long it makes up for that in exposure and sheer beauty. Arriving at the ‘end’ there is one last section that it is possible to cross…not for the faint of heart. Years later this was captured during the filming of aFeinberg – The Documentary. The point in question is in the first section. We are proud to offer this special image in a VERY Limited Edition of only 50 prints. 5 Artist Proofs will also be available. 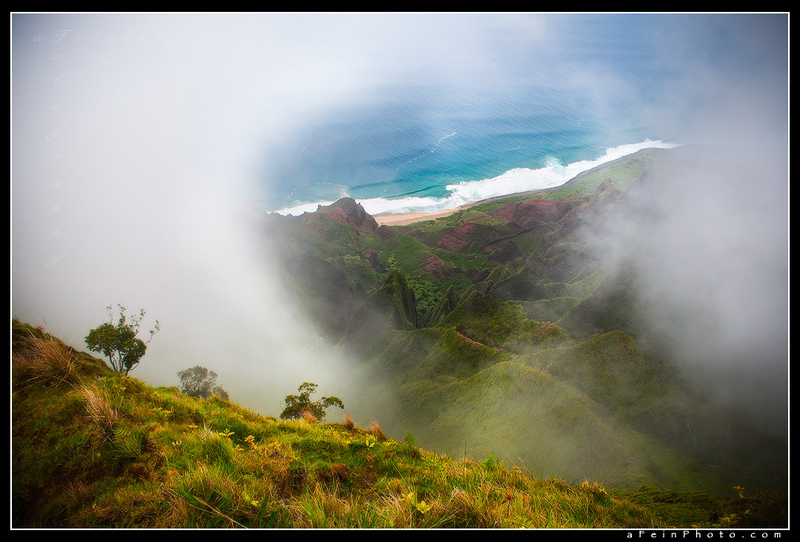 Clouds break briefly from a ridgeline above Kalalau Beach. True love shines through. Posted in Image Release and tagged clouds, heart, kalalau, kauai, new release, valentines day on February 14, 2017 by Aaron Feinberg. ← Previous: "Swell…from 4k feet above"